Fusion blogger template for free download on Blogger Templates. Awesome themes! I’m going to try most of them on my wp blog. 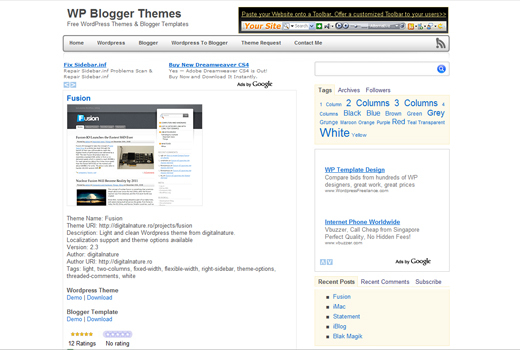 The themes work for blogger only. Thanks to the Rush Limbaugh wannabees this stuff is usually taken at face value.